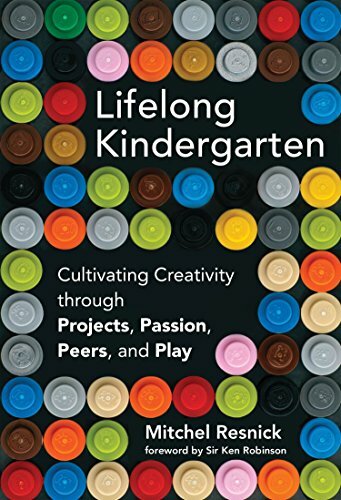 If you are in EdTech, interested in how technology can be used to make positive contribution to education and creativity in particular, you should read this book. The format of the book makes it very easy to consume. There are interesting real world example in each chapter to illustrate the points being made. As a whole, the book makes a compelling argument for how technology can work hand in hand with the right support from teachers, mentors and peers to engage learners to grow into creative thinkers. Creativity doesn’t come from laughter and fun: It comes from experimenting, taking risks, and testing the boundaries.Using Seymour Papert’s idea of Hard Fun. Technology can help to challenge children and provide a platform for discovery. I have been involved with the Scratch community from the beginning, almost ten years ago. Most of the content, in isolation, is not new to me. But even with that familiarity, the book as a whole ties all the research and learning together, reinforcing the connections. One of the important notes I took from the book is how to find the balance when working to create an environment for children. Someone in the teacher position needs to move between a variety of different roles: catalyst to help start an idea, consultant to supply expertise in specific areas, connector to bring peers together to help each other, and collaborator to jump in and work together. Go pick up this book. You can probably finish it over one weekend. It will change the way you approach the use of technology in education and learning professionally, and personally.